The harms to individuals, health-care systems and society from Canada’s opioid crisis are so grave that some physicians and lawyers are calling for criminal prosecution of OxyContin’s drugmaker. As part of a Canada-wide settlement announced in May following a class-action lawsuit, Purdue Pharma (Canada) agreed to pay $ 20 million — including $ 2 million to provincial health plans — over how the company marketed and sold its pain medications OxyContin and OxyNEO. A court hearing in Nova Scotia is scheduled Tuesday to approve a settlement for claimants in that province, while Ontario’s claimants agreed to it earlier this month. Judges in Quebec and Saskatchewan are scheduled to hear settlements in August. Canada lost an estimated 2,458 people to opioid-related death in 2016, government data says, and doctors estimate the country could see another 3,000 deaths this year. It’s unclear how provinces could recover any additional costs to their health-care systems, said Matthew Herder, a law professor at Dalhousie University in Halifax. It’s hard not to come to the conclusion that the deal is “inadequate,” Herder said, given that the company profited more than $ 30 billion from OxyContin. In 2007, three executives with the U.S. branch of Purdue Pharma pleaded guilty in a U.S. Federal Court to misleading regulators, physicians and the public about the risk of addiction to OxyContin. While whistleblowers in the U.S. can provide evidence of misleading or deception in the marketing of a drug, Herder said Canada lacks such a law. But under Canada’s Food and Drugs Act, the federal government could seek jail time. “The monetary penalties for violating that act are fairly limited,” Herder said. “I would say, however, that there is a penalty that could lead to imprisonment for false or deceptive marketing practices around a drug. Dr. Kieran Moore, a professor of emergency medicine at Queen’s University in Kingston, Ont., points out that it was 10 years ago that Purdue settled its civil and criminal suits in the U.S. for more than $ 600 million US. “I’m sadly disappointed [by] the amount of money we’re able to recuperate from a company that has been found to mislead patients, our community and our physicians,” Moore said. 10 associated addiction treatment admissions. 32 emergency-room visits for withdrawal or other consequences of addiction. “To me, $ 20 million doesn’t scratch the surface of the societal costs of OxyContin, and we could name other opioid producers like they have in the United States as well,” Moore said. Moore also pointed to the example of Canadian lawsuits against tobacco firms, which are still before the courts. Federal leadership and prosecution is key, said Moore. “We have to have an improvement in post-marketing surveillance in Canada, and we have to be able to identify if a drug is causing a health issue after it has been marketed to hundreds of thousands of individuals,” he said. Post-market surveillance looks at the safety and efficacy of drugs already on the market; the anti-inflammatory Vioxx, for example, was pulled from shelves worldwide after it was found to be associated with heart issues in thousands of patients. To follow the tobacco model, provincial governments would first need to create legal rights to seek damages from drugmakers, Herder said. Individuals could also seek action. 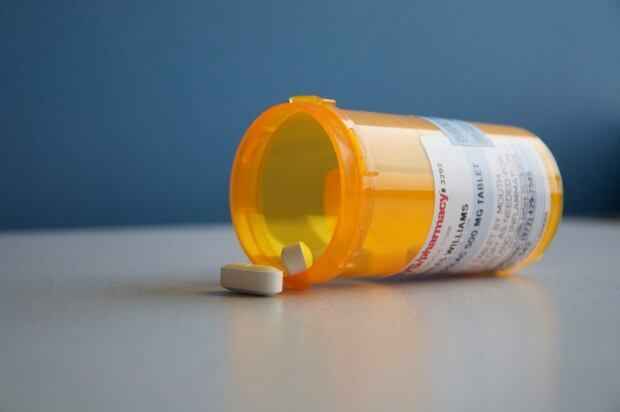 A shorter-term move could be for federal and provincial governments to work together to set up mass compensation scheme, similar to the one that thalidomide victims in Canada received decades after they were disabled by the drug. Purdue Pharma Canada has said resolving the class-action suit makes no admissions of liability.